Welcome to our home page. 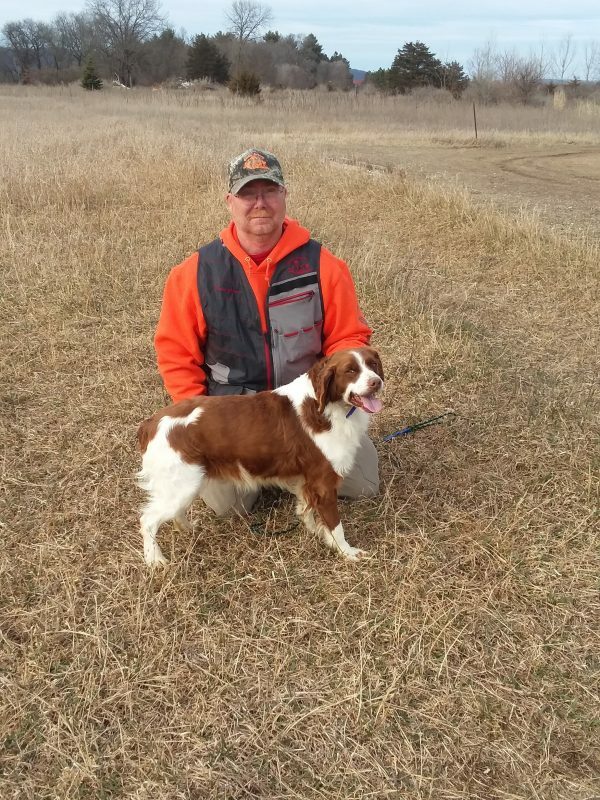 Years ago I stared out with a young female Brittany pup that sparked my interest in upland bird hunting and hunting behind a good bird dog. From there on my Interest in the Brittany just grew. My Family is a big part of our kennel and we are all very proud of our brittanys. We all like to watch a great bird dog work. We Breed for a dog who will be the family pet all week long and be your hunting buddy all weekend long. Our dogs can be for the foot hunter and the horseback trialer alike. We focus on producing Quality, High-Style and hard hunting Bird Dogs. We know that our Brittanys are the best bird dogs around! We have three colors in the Brittanys to pick from in most litters. We have: Orange / White, Liver / White, and some Tri-colors. Please tell us what you are looking for and what you expect out of a new dog or puppy so we may be of better service to you. This will help us help you pick the perfect dog for you. If we can be of any help to you whether it is training tips, finding a new puppy or a started/finished dog, feel free to give a call or send a email. We look forward to meeting you and answering any questions you may have about your new puppy.